Brief. Simple. Easy to remember. 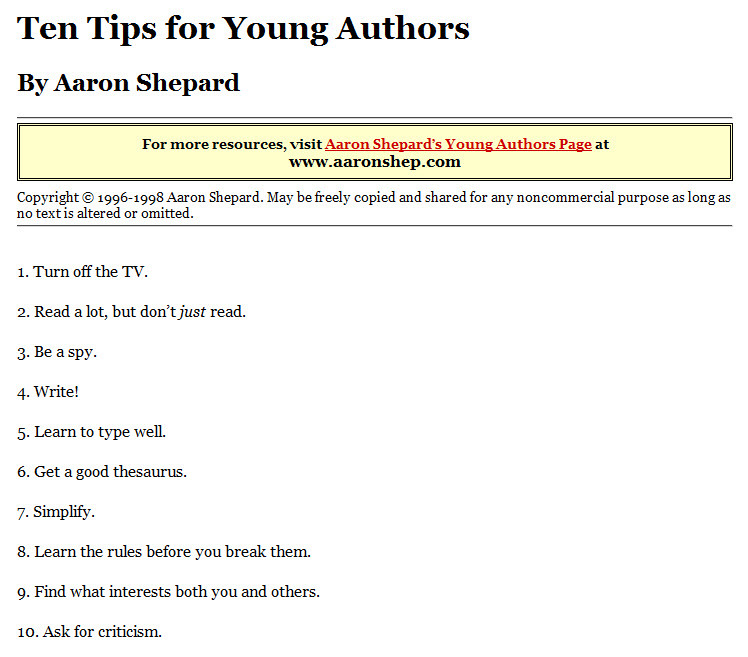 If you like these, the creator, Aaron Shepard provides some more help on his website. You can click the image to get there too. I just appreciate the simplicity of this list. A model of #7. Yet each one is clear. The more I look at it, the more I like it. Sheer perfection, especially #1 and #7.